Columbia, Mo. (Jan. 20, 2015) — Nina Kudriavtseva-Loory met the man who would later become her husband in May 1993 at the Bolshoi Theatre in Moscow. Drawn by his determination and impressed by his personality, she married him two years later. Stuart Loory, a prominent journalist, educator and author, died of lung cancer Friday, Jan. 16, 2015, at his home in Brooklyn, New York. He was 82. Mr. Loory was born in Easton, Pennsylvania, on May 22, 1932. He grew up in Dover, New Jersey, and graduated from Cornell University in 1954. As an undergraduate, he served as the editor-in-chief of his school’s newspaper. Four years later, he earned a master’s degree in journalism from Columbia University. During his career, Mr. Loory worked in newspapers for 28 years and held positions including Moscow bureau chief for the New York Herald Tribune, White House correspondent for the Los Angeles Times and managing editor of the Chicago Sun-Times, according to his MU profile. He spent another 17 years working with CNN in various positions, including as a correspondent and executive producer in Moscow, Washington managing editor and vice president, according to his profile. He spent two years teaching public affairs reporting at Ohio State University from 1973 to 1975. A little more than two decades later, Mr. Loory stepped into the world of academia for good as a journalism professor at the Missouri School of Journalism. As the first Lee Hills Chair in Free-Press Studies at the school, Mr. Loory was an advocate for press freedom. He served as the first editor of the Global Journalist, a magazine about the international news business, and moderated a weekly radio show with the same name on KBIA-FM. It was in this position that he made one of his deepest marks on journalism education, according to his colleagues. “He inspired younger journalists and launched the Global Journalist radio show and magazine, which furthers the cause of free media around the world,” said Dean Mills, a professor and the dean of the Missouri School of Journalism. 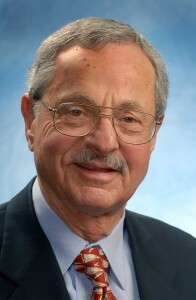 Steve Weinberg, a former journalism faculty member and veteran journalist, has admired Mr. Loory’s work for many years. Weinberg said he and Mr. Loory shared interests in teaching, biking and especially Russian. Mr. Loory is survived by his wife, Nina Kudriavtseva-Loory; two sons, Joshua Loory and Adam Loory; a daughter, Miriam Loory; a stepson, Leonid Tarasov; a younger brother, Melvyn Loory; and eight grandchildren and step-grandchildren. Services will be held on Tuesday, January 20, at the Green-Wood Cemetery in Brooklyn, New York. Family and close friends will be invited. A memorial service to celebrate his professional career at an official venue will be offered at a later date.